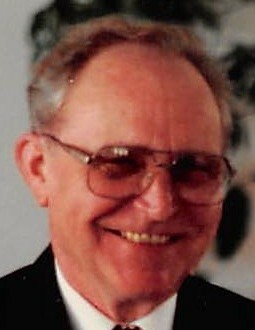 Dennis James Eaton, age 79, of DeGraff, Ohio passed away at 11:12 P.M. Tuesday, January 29, 2019 in his home. He was born in Kenton, Ohio February 6, 1939, the son of the late James and Katherine (Dennis) Eaton. He was also preceded in death by two sisters, Dixie Baldwin and Patty Eaton. On June 3, 1978, he married Linda Hardesty and she survives along with a daughter, Nicole (Bill) Lee of Tullahoma, Tennessee, three grandchildren and two great grandchildren. Dennis enjoyed Native American relics and was an avid Stanley tool man. He worked as a construction superintendent and later drove dump truck. He belonged to the B.P.O.E. in Bellefontaine. Visitation will be held Friday, February 1, 2019 from 4 to 7 P.M. at the Eichholtz Daring & Sanford Funeral Home & Cremation Center in Bellefontaine, Ohio. Pastor Steve Merrin will officiate a private funeral service. A private burial will be at the Bellefontaine Cemetery in Bellefontaine.